Finally, we asked Michal where she plans to take her business in the next year or two. Note: we lost Kira’s sound for the last few minutes, but it doesn’t detract from this fantastic episode. To hear this one, visit iTunes, Stitcher or use your favorite podcast app to download it. Or scroll down and click the play button or read the full transcript. Rob: What if you could hang out with seriously talented copywriters and other experts, ask them about their successes and failures, their work processes and their habits, then steal an idea or two to inspire your own work? That’s what Kira and I do every week at The Copywriter Club Podcast. Kira: You’re invited to join the club for episode 97, as we chat with freelance copywriter Michal Eisikowitz about how she became a copywriter, how she’s transformed her business over the past year and her amazing new website, how she uses LinkedIn to connect with potential clients and what she’s learned as she started mentoring other writers. Michal: Thank you. Great to be here, you know how much I love you guys, so the chance to spend another hour with the two of you. Rob: The feeling is mutual, so this should be fun. Kira: All right, let’s kick this off with your story and how you got into copywriting. Michal: I have a really winding path to copywriting. I actually am a licensed Speech Language Pathologist. I trained in Communication Sciences, I have a Masters. My mother is also a Speech Language Pathologist, I have a background in education, so I thought special education was going to be a great fit. Then while I was earning my Masters I wanted a job, side job and I interned at a publishing company as the marketing assistant. I interned there for about three months and then was hired full-time and I ended up working there for two and a half years. I just loved every minute. I did everything to do with book publicity, marketing and copywriting, book titles, press releases, back flaps, book descriptions, catalog descriptions. All kinds of as ad copy, you name it, I was doing their marketing work. This kind of work really gave me this broad foundation in marketing and copywriting and I realized, wow, this is something I really love. What happened was that, after two and a half years, the company eventually closed and its closing coincided with the completion of my Masters degree. I was like okay, the fun is over, it’s time to dive into my real job. This wasn’t a real job, this was just like a dream. I landed a part-time job in speech therapy. I liked it, the kids liked me, the parents liked me, and it was going well. Then I just soon discovered that I had this kind of twitch, like I wasn’t totally satisfied. I felt like I needed to get back into writing. There was something missing. Then I turned my face to journalism and I submitted my first feature to a weekly magazine and eventually started writing regularly for them and as well as other publications, monthly features, columns. At the same time I started accepting freelance writing and copywriting projects on the side. One of which grew into a proper gig as the in-house copywriter of a New York marketing agency. Basically, I was doing a million and one things, it was crazy. I was doing speech therapy, three or four days a week, feature writing for magazines, a steady agency copywriting and freelance copywriting. I was all over the place and then about a year, a year and a half ago I said, ‘This is just not going to work long-term.’ I’m a perfectionist as you well know by now and some point I realized if you want to be a master in your field, you have to choose one. You’ve got to dedicate most of your energies and your focus to one. I decided to do an experiment and give copywriting my exclusive focus for one year. I quit my speech therapy job, I stopped doing the feature writing and I enrolled in The Copywriter Accelerator, which you know was amazing. I am your biggest fan and that was it that just kind of jump started that experiment year. The good news is that, I really haven’t looked back. Since I began giving it like 100% of my focus, my business has exploded and I’m just really thankful and blessed. That’s my long and winding journey. Rob: I love your story, as you know. I’m curious, with all of the things that you did, your Masters in Communication, the marketing job that you had, the journalism that you’re doing. What are the things that you learned from those experiences that apply to what you’re doing in copywriting today? Michal: That’s a great question. I find that from my speech therapy work, I learned a lot about the importance of listening. There is so much that you learn as a professional from listening to the parents of the children or the patient you’re working with, the caregiver of the patient you’re working with. Just those interviews and those initial discovery sessions of really getting to the root of the issue, you learn a lot from that. Instead of diving into the work right away, you kind of use that background information to get very clear on your direction and goals for that session. I think that’s helped me a lot in the client interviews and the discovery sessions that I do today. I’d say that my magazine writing was tremendously huge boon for my copywriting, because I was working with very tight work counts, always. I had to really, really learn to write very, very lean. Take out that scalpel and just cut, cut, cut extra verbs, extra adjectives, extra adverbs. There’s just so much I learned about keeping your copy so tight and so powerful. In general, I think the magazine writing just really upped my skills and helped me find my voice as a writer. Kira: Michal, I love the way that you write and it does feel like every word was chosen with intention. Now it makes more sense, I didn’t realize that was your background. I’m just backing up and thinking about how you jumped into The Accelerator and treated it like a year of experimentation and really focusing on copywriting. It sounds like it just kind of happened overnight when you joined The Accelerator and we know that’s not how it really works. What did you learn from your time in The Accelerator or what did you do that really helped you take things to the next level? Michal: The first thing is that, The Accelerator started in June, so it was actually over the summer, when I wasn’t working on my speech therapy job. I was really able to give it my full focus and I just realized that I am so enjoying this. I’m just really looking forward to coming to my computer each day and working. It’s like I woke up with a spring in my step. That was realization number one. Realization number two, was also just the confidence of, I can do this, I’m good at this. I got peer reviews which helped me so much and the critiques were amazing, but there was also the feeling of, yeah, I’m not that far behind. I have the skills and I’m going to keep learning, I’m going to keep growing and there was this sense of I can do this, I can enjoy it and I can make money too. Once I had those discoveries, it wasn’t as scary anymore to call up my supervisor and say, ‘I don’t think I’m going to come back for the next year,’ or to let my magazine editor know that I’m taking a break for a while, because the possibilities became so real and strong. Rob: Will you talk a little bit about the kind of projects that you were doing when you first started out as a copywriter, when you first committed yourself and the prices you were charging and compare that to where you are today and the kinds of projects you’re doing today and the prices that you’re charging? Michal: Okay, so I was probably charging half of what I’m charging right now. I was doing all kinds of copywriting all over the place, no real niche. I was accepting any and every job as long as it fell under the copywriting umbrella. That was a big mistake, and the more I got into the copywriting as my exclusive focus, the more I was able to really learn what I was liking, what I was not liking and how I can narrow my niche and specialize. I’d say that I didn’t really have proper packages about a year ago. I was accepting way too much and way too broad. I was probably charging like the equivalent of like $50 or $60 an hour with a project fee, but with that kind of equation in mind. Kira: I feel like so many of us have gone down that path, where we’re taking all types of projects, not charging enough. What advice would you give to a copywriter who might be listening and in a similar situation, where she’s taking on whatever comes her way? Is it just something that we need to go through or is there a way to just veer off and cast that up and avoid it altogether? Michal: That’s a tough question, because there is I think a period of experimentation that you need to get a sense of what you like, what you don’t like, what you’re good at, what you’re not good at, what you’re getting really good feedback on and what you’re getting so-so feedback on. I don’t think that period needs to last more than a couple of months. I guess my advice would be take the leap. After a couple months, once you’ve gotten a sense of what you’re really enjoying and what your clients love about your work, so just try it. Like you said Kira, it doesn’t have to be for life. You don’t have to feel like you’re locking a door forever. Kira: Yeah and that’s something that Rob says often, just that everything is an experiment and so I feel like I’ve just embraced that mindset. It really does help when you feel like, ‘Oh, no I can’t do this because it’s forever and I’m going to get bored or tired of it.’ That’s really helped. I want to hear a little bit more about the type of projects you work on now. I know you talked about the transformation, you double what you’re charging. What type of work are you focused on today? Michal: Okay, so today I’m almost exclusively doing website copy. I’m doing it for small and mid-sized brands, a variety of brands. One of my goals actually over the next year is to kind of narrow that more and focus on a couple of industries within that website copy niche. Right now I’m doing all kinds of website copy and it’s really nice, because I’ve kind of nailed the process, so that I’m just plugging in the work for each client. We have the discovery sessions and the research and the interviews, one or two or three depending on the company. Then I hand in my research summary outline, which is this huge document of all the research and competitive analysis and a summary of the interviews. It’s like a very raw document with lots of basic information, not polished, but this is going to be like the foundational information for all the copy for this company. I hand that in to the client and they review it carefully. They get back through with feedback and then from there, we go on and I send them a recommended site map, based on their needs, based on their target market. I have very clear parent pages, child pages. I have recommendations for what each page should be called and an explanation why. If it’s a unique page obviously we’re not talking about home, about and contact. Then once the site map is approved, so then I go ahead and create the copy for each page. I submit the final copy, two rounds of revisions and then I come in again on the project once the website is designed. I really work closely with the designer and the developer and SEO guy if relevant, to optimize the pages and make sure the design is really working well, just kind of tackle elements like readability, buttons, images, call to actions and everything else that’s part of optimization and I really, really enjoy that part. I enjoy the collaboration and I also enjoy the design part. I’m not a designer, but I’ve gotten over the past year and a half a really good feel and a lot of education about what’s working and what’s not working with design. That’s like a fun part and I think part of what has been exciting for me about the website copy niche. Rob: Listening to you describe your process, it takes me back to when you just mentioned that you’re a perfectionist writer. You’ve basically built out this process in a way that you can tweak and perfect and really make sure that you’re delivering the right thing. In fact, you’ve built your new brand all around the idea of being a perfectionist, so talk a little bit about that and why being a perfectionist is so important to your clients and to what you deliver? Michal: Yes, so for me, it was like a light bulb moment. I think it was actually in the middle of The Accelerator when I realized that, that’s what people have been calling me my whole life in everything I do. I think that today, so many clients are seeking that person, who’s not just going to execute, but is just going to execute well and take care of the details and drive the process and send regular updates. Make sure that there are no spelling mistakes. This sounds so silly, but the more I see what’s out there, the more I realize that this is really missing from a lot of the services that we copywriters are providing. There’s not enough attention to detail, there’s not enough of that feeling of like, I’m not done until everyone is crazy satisfied, until I am crazy satisfied, until I feel like whoa, this is my truly best effort. Whether that means sending the copy to my copywriter friends or being part of the amazing Think Tank, which I love and getting amazing critiques and just working and working and working. Kira: I would love to hear more about how you actually execute this type of work and this level of detail, because I know you do take a lot of time on your projects, I do too. When you are perfectionist, it takes so much more time and it’s hard to get the work out quickly, so you can move on to the next project. What does that look like for you day to day? How do you do your best work while also juggling real life and family? I guess just describe your day to me, I’d love to hear about it. Michal: Yes, so this is a real challenge and I’m still struggling with it. My projects take me a long time and I’d say my day schedule kind of looks like about four hours, three to four hours of deep work in the morning, when I’m working on one big project. Sometimes two big projects, like two hours on one project and two hours on another project or a different page of the same project. I’d say about four hours of deep work in the morning and then a break. I’m really jealous of those copywriters who check their email once or twice a day. I can’t do it. Email checking for me is like my break, so I’d say about every three to four hours at least, I check my email, check my LinkedIn, have a little kind of clear my mind. Then the rest of my day is really more project management. That’s a lot of client correspondence, a lot of checking on where things are holding, editing existing copy that I got back from clients, sending interview questions and just the tasks that keep the project moving. I mean, in terms of like work life balance, I’m the first one to be totally honest, that it’s a real, real struggle. Being a perfectionist is not great for work life balance, so it’s hard to find that balance, because I’ll be there at 11 PM at night. I’ll be deep in some kind of project and I just want to finish it. I’m in the zone and I know it doesn’t make sense. I know I need to be well slept, happy mom the next day, but it’s very, very hard when you feel like I need to go to the nth degree for my clients. That kind of balance is something I struggle with every day. Rob: Michal, I want to shift just a little bit and talk about your new website, which I have the biggest website crush on what you’ve created. It is beautiful and it’s well written and it’s well targeted. There’s just so much right going on with what you’ve done there. Will you talk about the process of going from where you were and what you’ve built and why you’ve done it the way you have? Michal: The first thing I want to say is that, it was a massive, massive amount of work. I don’t want any copywriter to look at this and just feel like, ‘Oh my gosh, I’m just so lame for having up a poorly designed site. Why can’t I get my act together?’ It took me about a year from start to finish to get this up. It was a lot, a lot of work. I’d say about 100 hours and I didn’t even design it myself. We’re talking about like 100 hours on the website copy and just working with the designer at least. Looking back, I’m so happy that I didn’t rush it. It was worth the wait, because I feel like being able to just sit on the copy and take a look at it a week later and refine it some more, and get another critique from a friend and get some more feedback, really made a difference to the final product. I think like even that branding moment of like, ‘Hey, I want to be the perfectionist copywriter,’ even that, it probably took like two months in The Accelerator of thinking about my branding and thinking about it, so I had that light bulb moment. I guess what I’m trying to say is that, it takes time and don’t expect it to happen quickly. Then it’s just a huge job. There are so many questions to decide, which platform are you going to use, are you going to design it yourself? If you’re going to choose a designer, who are you going to choose? It takes time to do that research and choose someone you’re really comfortable with. I personally chose a designer who I had worked with on a client project, so I really had hands on experience working with him. I knew I liked his style, I knew I liked his service and so that was a huge plus. My advice would be to dedicate one day, each week to your rebranding your new website. That way you know that you have that day and it’s dedicated to your new website, but you don’t feel like you have to take off a month off of work and not accept client work for that time. I think the final result when you do it over time is anyway going to be a lot better. Kira: Yeah, and watching you go through that process, I mean, it was quite amazing, because I know you critiqued the copy on your website several times. I feel like with my website I just threw up the copy and now I hate it, right. I feel like you really worked through the process, the correct way, because in a way it’s like your portfolio piece, that’s what you’re selling to clients, is web copy. It speaks to them and they want it. Michal: I think if you’re feeling embarrassed to show your website to clients in prospect, then it’s time. If you feel your website is just not adequately reflecting your expertise, your brand and your positioning, then it’s time. Kira: Yeah, and you positioned yourself as a perfectionist copywriter, but like you said, it took time to even see that and figure out that this is the way I want to position myself. What advice would you give to copywriters who are struggling to figure out how to position themselves in the marketplace and figure out the theme or the gimmick or the brand on their own? Michal: There was an assignment that you gave us on The Copywriter Accelerator which was really, really enlightening and eye opening for me. That was having to interview two very major clients of yours with very specific detailed questions about the experience of working with me. We had to hire a VA to call up these clients and get these answers. I think reading through those responses just gave me so much insight into what my clients appreciate about me and to what my clients see as my unique strengths. I think it’s sometimes hard to see our unique strengths, without that external feedback. I would like, I would suggest to copywriters to listen very carefully to the feedback they’re getting from fellow copywriters and from their clients, because in those keywords of the emails that they send you and the verbal feedback that they send you, that’s where you’re going to find your unique strength and your unique brand. I think that if you can do it like some kind of assignment like this, if you can reach out to clients and interview them in this way, which by the way I have incorporated as part of my process now, as part of my off boarding process. I have my VA call every client when I wrap up a project and maybe not as detailed questions as you gave us, but about six or seven questions to get feedback on their experience and their satisfaction with the results. I have consistently found those responses to be so insightful and helpful. Rob: I also want to talk about your packages, you went from taking all kinds of jobs, anything that came along a year ago and now you’ve built several packages around branding, around website copy and email copy. Will you tell us a little bit about how you came up with those three to focus on and how you’ve broken those up on your site? Michal: Yes, so a lot of it is still experimental. I’m still kind of figuring out. I put up these packages now, this has been the core of my work for the past year or so, but in a few months I might decide that you know something, I just want to do website copy, period. I might take down those branding packages. It is still an experiment for me. The website copy, I very much wanted to offer three packages and the research says that that’s the way to go. You and Kira helped me without a lot. I basically divided it by the page number of the site and people really like that feeling, because it’s just so clear. It’s exactly clear how many pages they’re getting and I don’t talk about word counts on a page, because once I’m doing a page, I will write whatever copy it takes to make that page high converting. That’s part of my package, so word count is not relevant, because the purpose of copy is to get your reader to do something. That’s the promise that I’m offering. Those are my website copy packages and I see that people really like those choices, having those three choices. I’ve had a lot of clients who’ve started with like the, what I call the single scoop package on my site, that was Kira’s idea to incorporate my addiction to ice cream into my packages. I have single scoop, double scoop and the full Sunday, which my clients actually really enjoy. It’s the funniest thing. I get calls like, ‘Okay, so I’m debating between the double scoop and the full Sunday.’ It’s the funniest thing, because I’ll have lawyers talk to me about the double scoop versus the full Sunday. They really like having those choices and I’m open to upgrading, so we can start with the middle package and if we see that more pages are needed after my research, then we’ll up it. As far as my branding and voice development and email packages, these packages were really just what I found myself doing anyway, what I’ve been doing over the past year. I just kind of put it together and let’s say the middle package was what I was mostly doing, so for me it was like, okay, what can I add on to make a more robust package for the full Sunday? What can I take away to make a more minimal package for the single scoop? A lot of times it’s like what are you doing? Okay, and what can I add to that to make it better and what can I remove to make it more affordable? Kira: I want to pivot a bit and ask about how you get your leads in, because I feel like you’re always busy, you always have a lot of work, you’re sought after. How are you attracting all of this work and all these different projects? What’s your secret sauce? Michal: Okay, so a lot of my leads come from referrals, from previous clients, but I’d say that at least 50%, if not more right now come from LinkedIn, which I’ve found to be an amazing, amazing, amazing way to generate leads. When I started on LinkedIn honestly, I wasn’t doing it to attract leads. It was three years ago LinkedIn was just so boring. I remember when I checked it out a couple years ago, I put up the most basic bare bones profile for myself, because I felt like I had to have some presence there, and then I just left the scene because there was like nothing happening. Then about a year ago, I started doing more and more lurking on LinkedIn and I was like, ‘Hey, there are some really great content here and there are some great content creators.’ After lurking for a couple months, there was this feeling of, I don’t want to be on the sidelines. I want to have a voice. I want to share my insights. I want to be part of the action. That’s really how I started. It wasn’t even like a conscious decision to use this as my marketing tool. I started with this amazing program, which I highly recommend for people who are beginning to put out content on LinkedIn. It’s called Thirty Day Social. It’s this free program that takes you and helps you put out content every day for 30 days consistently, giving you advice on what to post each day and different ideas and great ways to get more views on LinkedIn. I did this program and it blew me away, the response that I got. My post just started getting a lot of traction and I think it’s because there’s a lot of garbage on LinkedIn honestly. There’s a lot of poor content, there is the self-centered, chest thumping post of like, ‘Just closed a $13 billion deal for the fifth time this week, hustle on,’ kind of posts, which are like okay. Then there’s like the feel good cheesy videos, which are nice and heartwarming, but they’re not business related and they’re a waste of your time. Then there are the posters who think they should be letting their network know about every move they make, like what they ate for breakfast that morning. What I’m trying to say is that, there really is a lot of bad content out there. If you are willing to commit yourself to put out good useful content, that will really help people and give them actionable advice, then you’re going to stand out pretty fast. It’s not that hard to stand out if you’re putting out good content. I just started posting and I tried to post the things that I would find valuable. The more it posted, the better I got at it and the more engagement I got. Then suddenly like about I don’t know, let’s say five months ago, the leads just started and it was very, very steady and very continuous. I’d say my LinkedIn journey has been quite an amazing ride, because it was totally not intentional and it’s become an amazing source of work for me. I’d say an average about 8000 views per post, which is considered pretty good for LinkedIn, but it took time to get these kinds of numbers consistently. LinkedIn algorithm is constantly changing, so you do have to be up on the latest of what’s working and what doesn’t work. For example, if you include links in your post, so it’s going to get a lot less views. You want to be up on the latest for that. Bottom line is that really good content will get good engagement, no matter, if you’re doing video or text only or images. People just gravitate to great content. Rob: I’ve seen a lot of people go out to LinkedIn and they recommend doing things like, looking at other people’s profiles. Then if somebody looks back, that you reach out to them and try to make a connection. You’re not doing any of that kind of stuff, you’re just posting content and letting people come to you, is that right? Michal: Yeah totally inbound marketing. I don’t do any cold out reach. I don’t even bother to see who’s been looking at my profile. It’s been just people reaching out to me via LinkedIn messaging or just by email saying, ‘Hey, I got to you through LinkedIn. Let’s talk about my project.’ What’s really interesting is that, there are so many quiet lurkers on LinkedIn. I get inquiries from people who never once commented or liked one of my posts, but when I talk to them on a sales call, they’ll tell me that they’ve been following me for the past year on LinkedIn. You really never know who’s reading your posts and I think that if you consistently give value in your content, you’re going to see results. Kira: Okay, so I do not spend a lot of time on LinkedIn, because I felt the same way that you did a couple years ago, where it was just like not the place to hang out. I know that’s changed and clearly it is now, but how do I know if I should really be on LinkedIn? I mean, are there specific niches that really should be on LinkedIn now and other ones that don’t need to be there? Michal: It’s interesting. My leads have been from so many different industries and I’m seeing more and more of the personal brands, like those personality driven brands that are more in line with your clients Kira. I’m seeing more and more of those on LinkedIn too. LinkedIn has just gotten a lot friendlier and a lot more normal I should say, a lot less stuffy and corporate over the past year or two. My personal feeling is that, if you are somebody you should be on LinkedIn. It’s just a hopping, thriving, buzzing platform right now. Rob: That’s one of the things that I love about what you do on LinkedIn and actually what you do on your website too. It’s very business oriented, but there’s this fun twist to everything and so it’s both business, but it’s also very human. You’re just so good at that stuff. Michal: Thanks Rob. I try to straddle that line and it gets tricky sometimes. I’m sure that my very human website does repel some more corporate customers who are not into the double scoop, single scoop, full Sunday ice cream packages. I’m definitely seeing a trend towards copy that’s more compelling, punchier, just more personality even in the industries that used to be so, so fuddy duddy. Rob: Michal, what would you say has been your biggest win over the last year, working with new clients and what you’ve done with your website and the rebranded and just the success that you’ve had? Is anything stand out as something that’s just balloons and to throw a party for that win? Michal: I’d say on the more superficial level, one major win is that I tripled my monthly revenue, some weeks quadrupling it. On a deeper level, I think my biggest win is just the clarity of wow, I found it, this is the line of work I love, this is a perfect line of work for me, this is what it means to wake up in the morning and just be really excited about going to work. For the most part I am enjoying it so, so much. The time goes by so fast. Running my own business has been exhilarating and so that clarity of like, I’m exactly where I want to be, that’s probably my biggest win. Kira: All right, so Michal you mentioned you have tripled your income, again, so exciting, but also so unbelievable probably to some copywriters. What would you say to a new copywriter who hears that and is like, ‘Oh I don’t know if I believe it’s possible for me.’ What would you say to them? Michal: I’d say that don’t delude yourself. I worked really, really hard this past year. I put in a ton of hours, so it wasn’t like I sat back and my monthly income just tripled like that. I invested a lot of money in my business through the courses and The Think Tank, which have been huge. Totally, the more and more I’m in this business, the more I’m realizing is that so much of your success is about mindset and positioning and pricing and the confidence to price at what you’re worth. It’s not nearly as much about your skill or experience as you would think. Yes, you can do it. I mean everyone’s starting off at a different place. If you’re currently making $10,000 a month, I don’t know that you’re going to able to triple that so easily, but I was making a lot less than that. I really believe that if you get the confidence that you need to charge what you’re worth and you get a niche that you’re good at and you become known as a specialist in that, then yes, you can do it. I have four kids, I have a really, really busy life. I’m only able to work about six hours a day, which is not a lot if you’re really starting a new business and I still was able to do that. I think you could do it too. Michal: Yeah, so there’s always those clients with the red flags that you ignore. I’ve done my share of those. I think that as copywriters we have to ask ourselves, ‘Am I feeling really excited about working with this client? Does it just get something going inside me?’ If it doesn’t, then just stop right there, it doesn’t matter if they’re a big name, it doesn’t matter if it’s a big project. You’re not going to be able to put out your best work, if you’re not super excited about the project. It’s just going to be such painful going all the way. I’m actually finishing up a project like that right now and I’m like, finally. If you’re not sure if projects going to be good for you, reach out to friends, reach out to some kind of group, tell them what you’re feeling and get some feedback, because signing on a new project is a big commitment. You’ve got to make sure you’re doing it with the right people and you have to make sure that every project you take is moving you forward in some way. Maybe it’s the client who’s the problem, maybe it’s the kind of project that’s just not in your niche, it’s just not going to help you when you want to spend your time on other projects. I think another mistake that I made was feeling this need to fill my schedule with client work. That’s part of what I was saying about, I was just accepting anything and everything under the sun. There was this need to keep busy and to keep the money coming in. Looking back, if I had spent more of that time on my own marketing and branding, I probably would have gotten better clients faster, who are paying more. I would have just avoided all those lower paying, not so great projects and been able to propel myself forward faster. Rob: A couple points you’ve mentioned working with other writers and you’ve been in The Think Tank, which is our mastermind group. You went through The Accelerator. What has working with other writers and being exposed to their thinking done for you and your business? Michal: I think surrounding myself with successful people who are confident, skilled and super ready to charge what they’re worth has definitely affected my mindset and rubbed off on me. The clients really just sense that. They sense that vibe in your sales call, so that’s been a huge deal for me. There’s just so much in terms of the conversations that I read amongst my fellow copywriters and the questions that are asked and the back and forth and the support that I feel I have just learned so much in every single area of copywriting, both in copywriting technique, but also in client management and business management. The perspectives of people who’ve made these mistakes so you don’t have to make them. I think that peer support from people who know what they’re talking about and who are successful themselves is such a huge deal, when you’re in your cave and working alone like that. Rob: Yeah, I totally agree. One last question for you and that is, what’s the future of your business look like? What’s coming next? Where are you going from here? Michal: That’s a great question. I’d like to specialize a little bit more, so I’d like to refine my website copy packages and maybe narrow it down to some specific industries that I want to work with. That will eliminate a lot of the research that I have to do for each project. I find that researching a new industry from top to bottom when your industries are so diverse, adds a ton to the process. That would enable me to make the process tighter and get a faster turnaround. I think that I’m also going to work on getting into mentoring and maybe even creating a course for beginning copywriters. I love teaching, something I did before I started college for a year. I love helping other writers, and I really resonated with what Kira once said that, if you know a little bit more then you can teach. You don’t have to be the world’s greatest expert, you don’t have to know everything, you don’t have to be the master in order to be able to give over valuable advice and insights. That’s definitely a next step for me. Rob: You’ve actually done just a little bit of that if I’m not mistaken, working with one or two writers just getting started, is that right? Michal: Yeah, absolutely and it’s something I’ve really enjoyed. I also see how much I learned from the copy critiques of my work in The Accelerator, in The Think Tank with other copywriting friends, outside of those groups. I think that copy critiques are hands down the best way to learn and to grow your skills. That’s something I want to be doing more of for our newer copywriters. Rob: Totally agree. This has been such an awesome interview. I’m thinking back through what we’ve talked about. I’ve got a lot of work to do on LinkedIn. I’ve got some work to do on my own web page. You’ve done so much in so little time and to me, you’re just an inspiration in all that you’ve accomplished. Anyway, we appreciate you coming on to share your story and your experience. If people want to connect with you Michal, you’re not in our Facebook group, which is maybe just a little bit weird, but where can they find you? Michal: Yes, so I’m on LinkedIn, surprise, surprise and definitely connect with me there, through my website, hello@michaleisikowitz.com. I love getting to know new copywriters and I’d love to connect with you all, it’s been so great to be here. Rob: We’ll make sure that we link to that in the show notes, so if anybody wants to take a look at your awesome website or connect with you, they can go there. Thank you so much for joining us Michal. Michal: Okay, thank you Rob, take care. Rob: You’ve been listening to The Copywriter Club Podcast with Kira Hug and Rob Marsh. Music for the show is a clip from Gravity by Whitest Boy Alive, available in iTunes. If you like what you’ve heard, you can help us spread the word by subscribing in iTunes and by leaving a review. 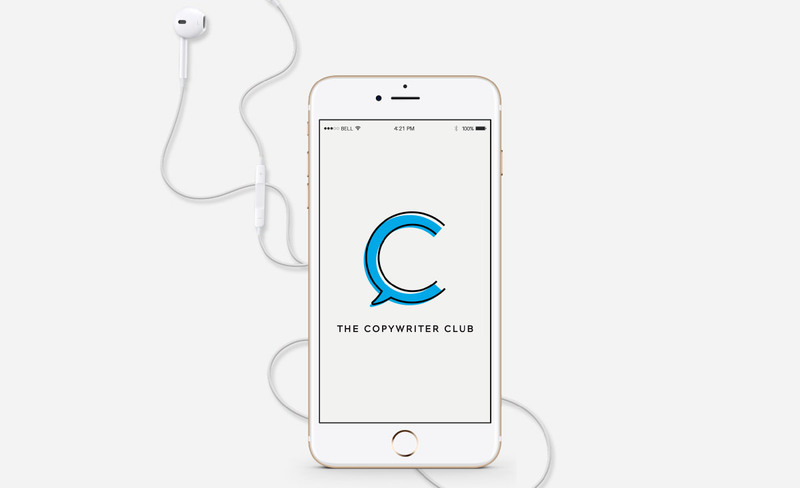 For show notes or full transcript and links to our free Facebook community, visit thecopywriterclub.com. We’ll see you next episode.